This study booklet can serve as a daily devotional plan for an individual, or it can be utilized by a small group that engages in at-home assignments and weekly group sessions (which feature discussion, group activities and Green Pastures of a Barren Land DVD segments). An easy-to-use leader’s script for each small group session is included in the booklet’s appendix. The small group leader/facilitator will discover methods to promote honest dialogue and application. The companion DVD is a highly recommended resource for the small group study. I’ve just finished reading Green Pastures of a Barren Land and completing the 8 week Bible study, and oh my goodness, it is awesome!! My pastor husband Jerry and I have been in the ministry for 43 years, and this is truly one of the BEST STUDIES I’ve ever been through. It is an open honest account of not just the physical and emotional experiences that Candise went through, but an honest account of her struggles spiritually. 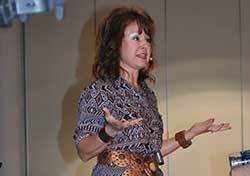 Candise presents seven Biblical principles of how God brought healing to her life. 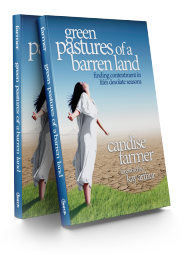 We will be using this book and Bible study in our continuing ministry, because we’ve all had “barren lands,” and with God’s help we have been brought into “green pastures.” Thank you, Candise, for allowing God to use you to minister to others. I have a purpose in life and God has always had a plan for me. Even through my trials and tribulation. Your book brought the thought pattern back to me that I AM NOT alone and through ALL of my circumstances, to keep looking up. I truly do not ask God to guide my steps if I am not willing to move my feet. God revealed to me through your words and your book that I DO NOT OR WILL NOT HAVE TO STAY A VICTIM. Today I can & will use my past of addiction, sexual abuse, aneurysm, and other traumatic losses and situations to the good, with the Lord’s mighty provision, by helping others and drawing them closer to God. Psalms 25:4 – Teach me Your ways, Oh Lord, Show me Your paths. 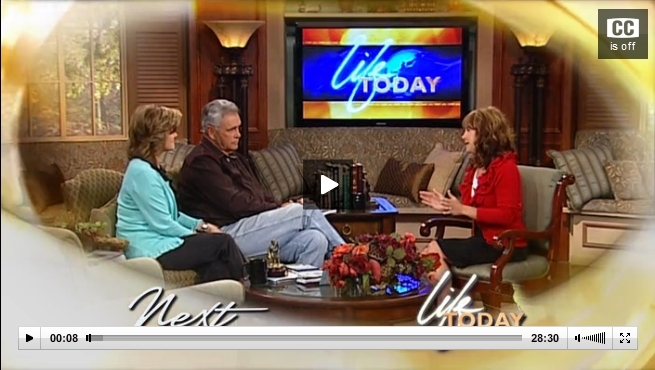 I surrendered my will over the God on August 21, 2012. But I wasn’t aware of this verse nor did I give it much thought until you came to Transitions and crossed paths in my new-life journey. Also, I am learning how to take my thoughts captive and be content with all I have! Praise God for ALL my blessings and my trials. Psalms 125:1 – When I am afraid I WILL TRUST IN HIM. The book as a whole meant: It is unexplainable how blessed I really am. I praise God everyday for turning my bad (emptiness, barren) into Good and it is ALL for HIS GLORY! Thank you, Lord, for the “New Life” that you’ve allowed me to truly LIVE! I thank God for you also! 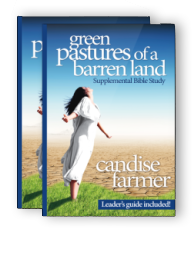 I am so very thankful to have had the opportunity to facilitate Candise’s very first bible study of “Green Pastures of a Barren Land.” I was the life group leader of a group of women called “Tuff Women”. This class was for women from all walks of life who had experienced barrenness of all types, from divorce, death of a spouse, single longing for a mate, death of a family member and so on. God placed these women in this class as it pleased Him and knew this study would help them survive this hurt & pain in their lives. These wonderful women were such a blessing and God opened all our eyes to revelations of His sweet word. The Holy Spirit revealed truth’s both corporately & individually in our quiet times which were shared at each gathering. I could hardly wait for our next meeting time each week to see what God had revealed. I personally learned that if I keep my focus on God and delight in Him, that my steps will be established and if that includes hardships and afflictions, I know my God will surround me with His unfailing love as He tells me in Lamentations 3: 31-33. I also realized that until God opens the door, I will just continue to praise Him in the hallway. Green Pastures of a Barren Land was the Bible study that proved to be “just in time!” This study is not just for women with a barrenness of the womb, but for those that are experiencing any barren time in their lives. Recently, in such a time of my life…I delved into Bible study, the Green Pastures of a Barren Land 8-week study guide, and God’s Word, and I found just what I needed to get through each week. I came to understand that God had brought this barren time into my life and had designed every aspect of this time and through it God would be glorified. I realized that going through this was for my good and that Jesus is constantly protecting me and Satan cannot touch me. He is indeed my Savior! I found that true contentment comes when I release and replace my aspirations…not my will…but His! His grace is sufficient and His power works best in my weakness, so I must trust Him more knowing I have the promises of Heaven. With all of this in mind…I continue on…in the Word…praying…denying self…knowing God is in control. How I praise the Father for the Green Pastures of a Barren Land Bible study! "The Christian community needs this book! … A must-read for us all!" — Janet Hunt, wife of Dr. Johnny Hunt, Pastor, First Baptist Church, Woodstock, GA, former President of the Southern Baptist Convention.